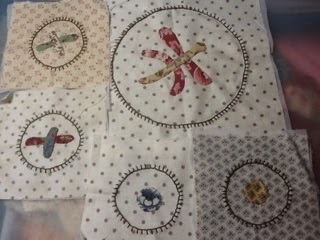 I'm halfway through my Stitchalong for April. I do love the needleturn. My little dragonflies look a big sad thou, thinking about adding a second wing??? School Holidays are now offical, haven't made too many plans but would love to jump in the car and just see where we end up...a big thank you to all the well wishes for Maddi, she is feeling sooo much better after her appendix operation on the weekend. 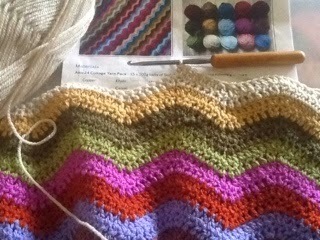 I'm going to continue crocheting tonight, love the next few colours that are coming up...yummy! Your blanket does look "yummy" Deb...& growing sooo quickly too. Your blocks are coming along nicely, Deb. Your blanket looks great too.